The excess energy from the food we eat is digested and incorporated into adipose tissue, or fatty tissue. Most of the energy required by the human body is provided by carbohydrates and lipids. As discussed in the Carbohydrates chapter, glucose is stored in the body as glycogen. While glycogen provides a ready source of energy, lipids primarily function as an energy reserve. As you may recall, glycogen is quite bulky with heavy water content, thus the body cannot store too much for long. Alternatively, fats are packed together tightly without water and store far greater amounts of energy in a reduced space. A fat gram is densely concentrated with energy—it contains more than double the amount of energy than a gram of carbohydrate. Energy is needed to power the muscles for all the physical work and play an average person or child engages in. For instance, the stored energy in muscles propels an athlete down the track, spurs a dancer’s legs to showcase the latest fancy steps, and keeps all the moving parts of the body functioning smoothly. Triglycerides control the body’s internal climate, maintaining constant temperature. Those who don’t have enough fat in their bodies tend to feel cold sooner, are often fatigued, and have pressure sores on their skin from fatty acid deficiency. Triglycerides also help the body produce and regulate hormones. For example, adipose tissue secretes the hormone leptin, which regulates appetite. In the reproductive system, fatty acids are required for proper reproductive health. Women who lack proper amounts may stop menstruating and become infertile. 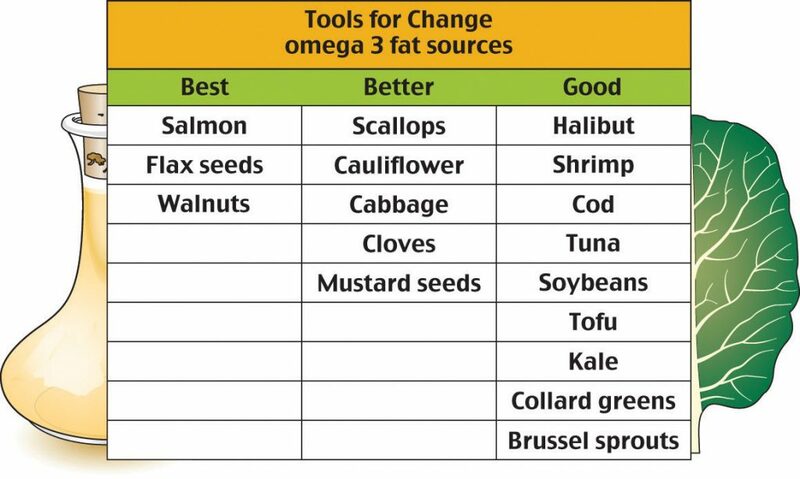 Omega-3 and omega-6 essential fatty acids help regulate cholesterol and blood clotting and control inflammation in the joints, tissues, and bloodstream. Fats also play important functional roles in sustaining nerve impulse transmission, memory storage, and tissue structure. More specifically in the brain, lipids are focal to brain activity in structure and in function. They help form nerve cell membranes, insulate neurons, and facilitate the signaling of electrical impulses throughout the brain. The Functions of Lipids in the Body by University of Hawai’i at Mānoa Food Science and Human Nutrition Program is licensed under a Creative Commons Attribution-NonCommercial-ShareAlike 4.0 International License, except where otherwise noted.